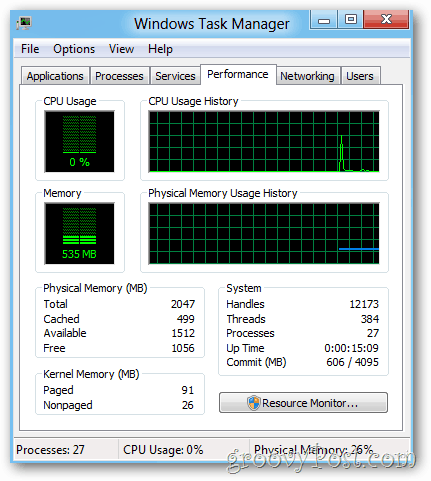 As I’ve been playing with Windows 8 this last week, I really love the new Task Manager. 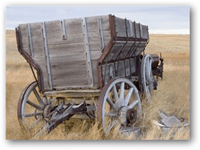 Perhaps it’s just because I’m curious–but shortly after playing with it, I set out to look for the old Windows Task Manager. It wasn’t hard to find, but I figured I would still send up a flare so you can find it. From the Windows 8 Metro Desktop, Type run and Touch / Click the Run App that appears or WIN+R. Type: taskmgr.exe and Click / Touch OK.
Ah, there’s the familiar Windows Task Manager. Unfortunately, this does not appear to work in the Release Preview and the RTM. 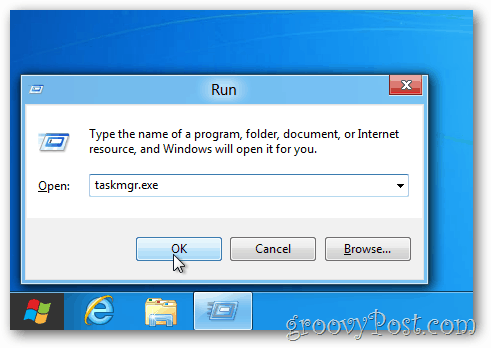 Running taskmgr.exe open the new task manager.